NEWPORT, R.I. – Sept. 19, 2018 – Northrop Grumman Corporation (NYSE: NOC) in collaboration with industry partners participated in the U.S. Navy’s Advanced Naval Technology Exercise (ANTX) last month in Newport, Rhode Island. 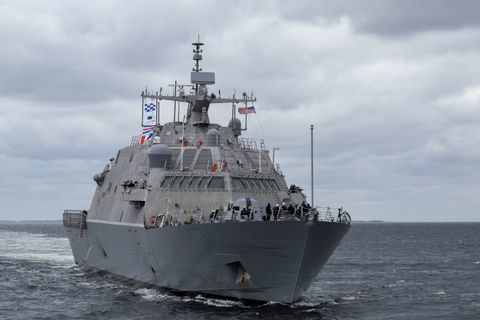 The company demonstrated advanced capabilities in the command and control of future unmanned maritime missions and the ability to more effectively deliver critical information to the warfighter in contested environments. Northrop Grumman’s Fire Scout autonomous surrogate launches a sonobuoy as part the 2018 Advanced Naval Training Exercise in Newport, Rhode Island. 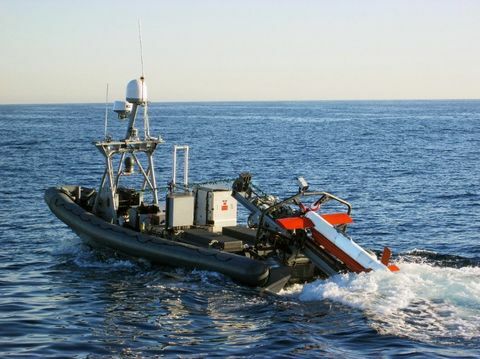 Northrop Grumman’s seabed warfare capabilities were also highlighted at this year’s exercise. 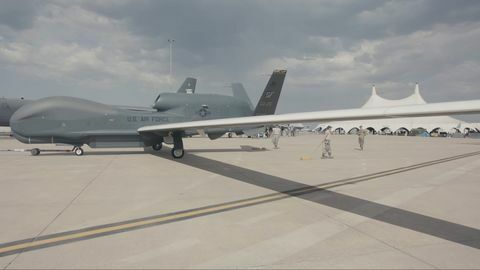 A central part of this demonstration was Northrop Grumman’s µSAS and real-time automated target recognition technologies. The µSAS is a low size, weight and power, high-performance payload that can operate off a man-portable autonomous underwater vehicle for real-time classification of mine-like objects. The three-day annual exercise was developed to demonstrate future Navy technologies in a collaborative, low-risk environment. Government, academia and industry participants gathered to showcase new capabilities to push the boundaries of what is possible in a complex environment. Northrop Grumman was partnered in the exercise with Physical Optics Corp, Ultra Electronics USSI, Hydroid, Optimum Solutions and Silvus. Northrop Grumman’s seabed warfare capabilities and multi-domain unmanned system integration were highlighted at the demonstration. These included advanced mission management, which enables centralized collaborative mission execution and control using multiple unmanned undersea vehicles (UUV) and unmanned surface vehicles as well as a Fire Scout surrogate unmanned aerial vehicle. 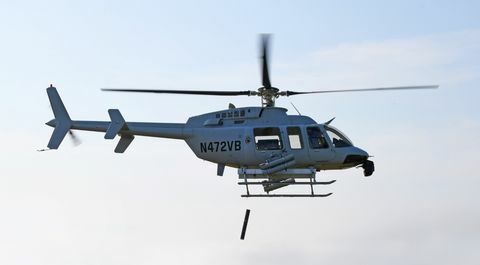 The demonstration featured subsurface to above surface communications with cross-domain status, detection and tracking. The exercise also highlighted the benefits of an open architecture approach, showcasing the ability to rapidly integrate multiple capabilities into a relevant mission scenario. Mission planning, control and monitoring will be achieved via a remote tactical operations center and from Northrop Grumman’s maritime operations center.